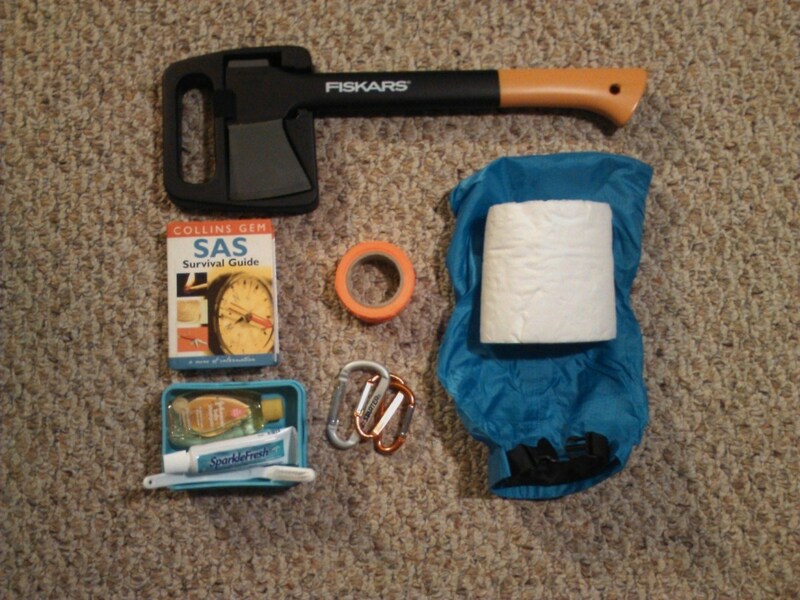 A wilderness survival kit is good to own whether you’re a seasoned outdoorsman or a beginner. 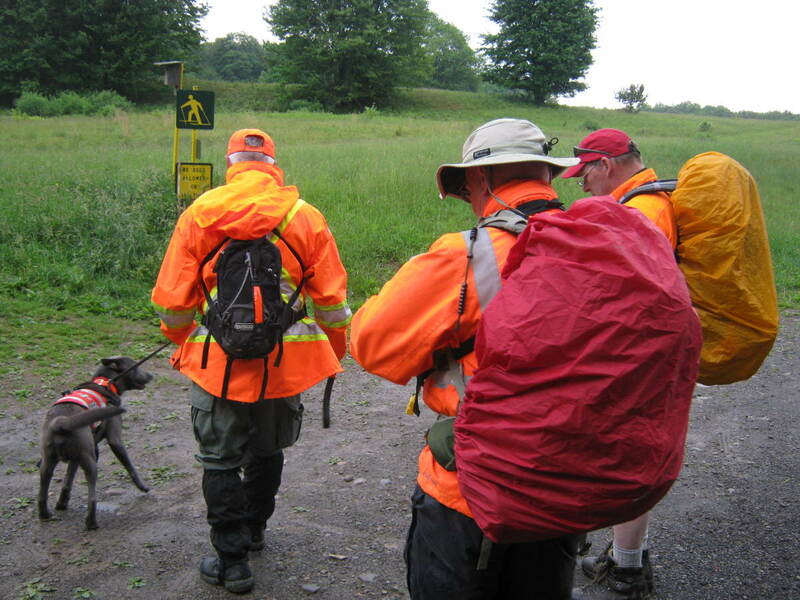 Hiking into the unknown with just the shirt on your back can result in unnecessary situations or unexpected setbacks; it is easy to get lost in the wilderness - one wrong turn or foul weather can leave you stranded and result in lack of shelter, food or water. Don’t be the uninformed outdoor enthusiast - read on to find out what your kit should contain to ensure your survival out in the wild. Having waterproof matches and a waterproof match container is important when traveling in the wilderness; wet matches are no use to anyone. If you can’t find waterproof matches, you can waterproof ordinary matches yourself with a product called “Thompson’s Water Seal”. In either case, matches should be kept in a watertight bag or container; being soaked in water for a long period of time can still ruin waterproof matches. 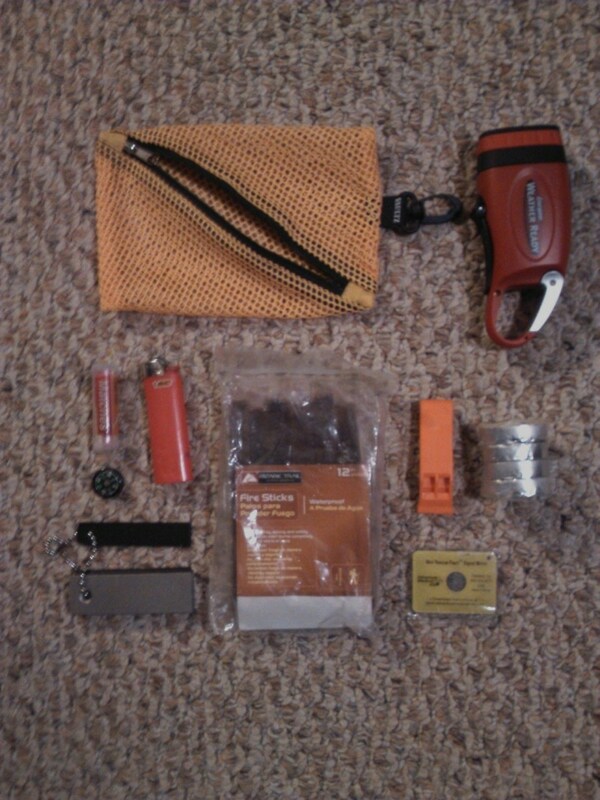 Disposable lighters are another option to matches and are cheap and easy to acquire. Lighters come in multiple sizes and can be used as a flint sparker when the fuel runs out. Flint is used by scraping a steel striker against the flint, creating sparks to light your tinder. Tinder can be pre-packaged, such as fire sticks, or can be homemade; cotton balls soaked in petroleum jelly make excellent tinder and are highly flammable. Be sure to store the cotton balls in a sealed container, such as a film canister, for safe keeping. 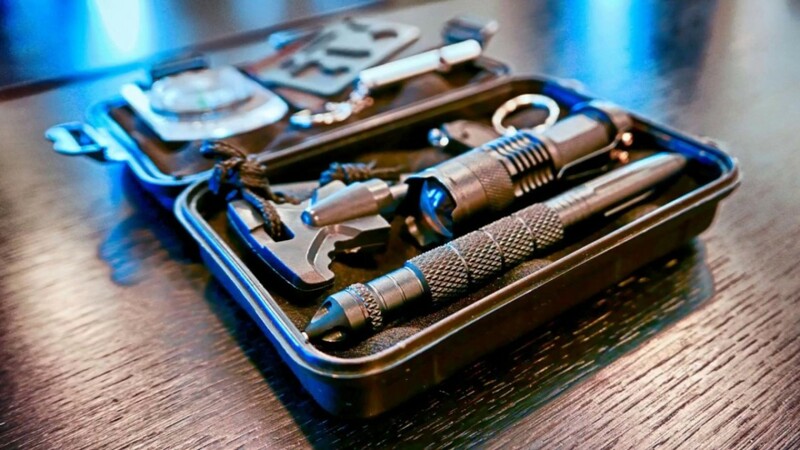 Flashlights are an integral part of a survival kit due to their portability and waterproof casing. You can pack a flashlight with fresh batteries, or opt for a batteryless flashlight. You charge a batteryless flashlight by cranking, squeezing or shaking it. Having a batteryless flashlight ensures you will never lose a portable light source. Light sticks are a temporary alternative if your batteries run out; snapping the light stick releases the chemicals inside, making the stick light up. However, wearing a headlamp will leave you with both hands free to hold other objects. When all of your batteries run out, though, don’t forget to pack candles! Do you have your own survival kit? No, but I want to put one together! I have a survival kit with all the essentials! A compass helps point you in the right direction (no pun intended) and is a staple of the survival kit; following a compass keeps you walking in a straight line and (combined with a map) can guide you toward roads or landmarks . A button compass is the smallest type you will find and the most basic. Some wristwatches have button compasses conveniently attached to their wristbands for easy access. If you can, do your research beforehand and obtain a map of the area you plan on exploring. Topographical maps describe the terrain of the land and show manmade features and roads that you might recognize. A GPS (global positioning system) will track your position in latitude and longitude as you travel, but runs on batteries; these electronic devices tend to consume a large amount of battery life. 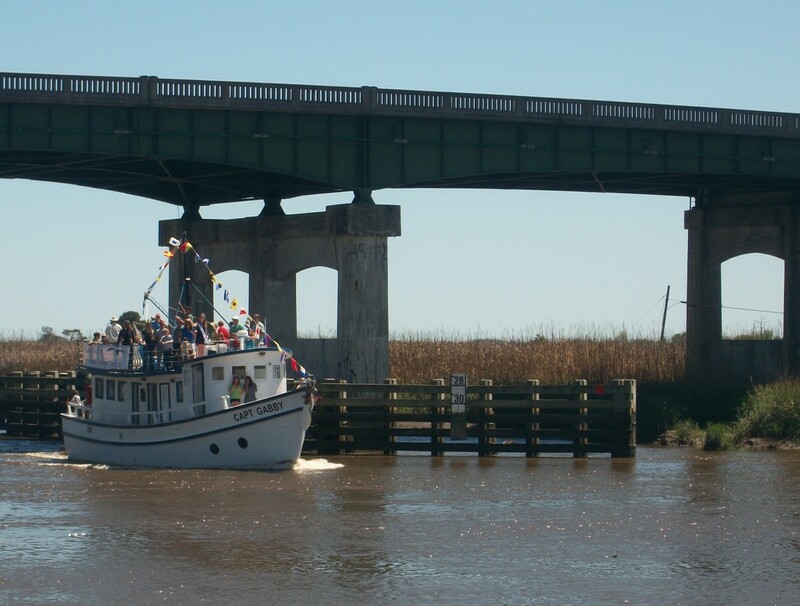 When you are signaling for help, a whistle can alert a rescue party to your location if they are close enough. The noise is loud, and the whistle can be blown in a pattern to distinguish you from the sounds of wildlife. Signal flares, on the other hand, are good visual cues to rescuers; they are disposable, fly hundreds of feet into the air and burn for a few seconds before going out. If you have an aircraft searching for you, these can alert them to your position. A signal mirror is reliable and reusable; reflecting the sun’s light off of the mirror toward an aircraft can attract their attention. However, a signal mirror is only effective during the day, while signal flares are visible darkness and light. Water purification tablets are the easiest and most effective way to filter and purify your water. These tablets have directions on the label about proper usage and measurements for user safety. A water filter is another option, but it isn’t always reliable - most only filter the water, and don’t purify it. Large bacteria might be filtered out, but smaller bacteria can still slip through the filter, leaving the possibility of still getting sick. Whatever your method, It is important to have a container in your pack to collect outside water. 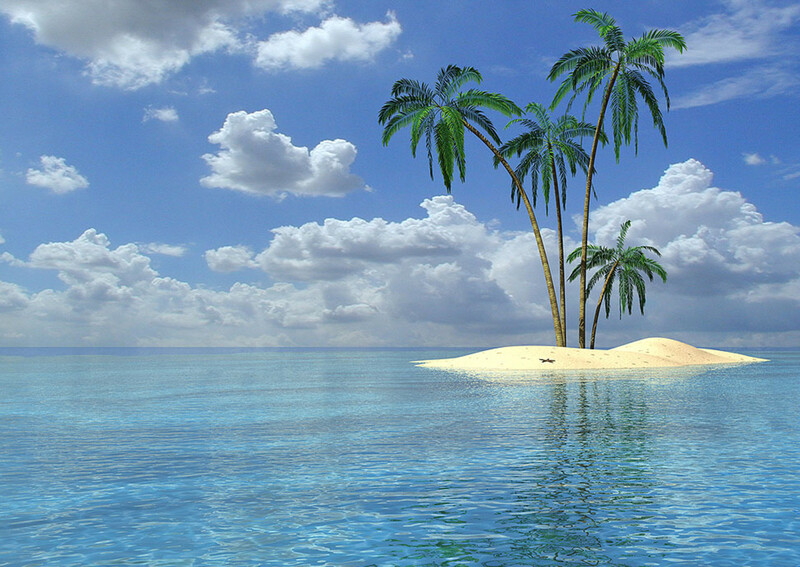 Be sure to fill this container with fresh water before you start your journey. A fishing kit is a small item that should be part of every survival kit. If you are located near a water source, fish may be your source of food until you are found. Pocket fishing kits are sold in stores and on the internet, but you can make your own out of an empty Altoids tin. 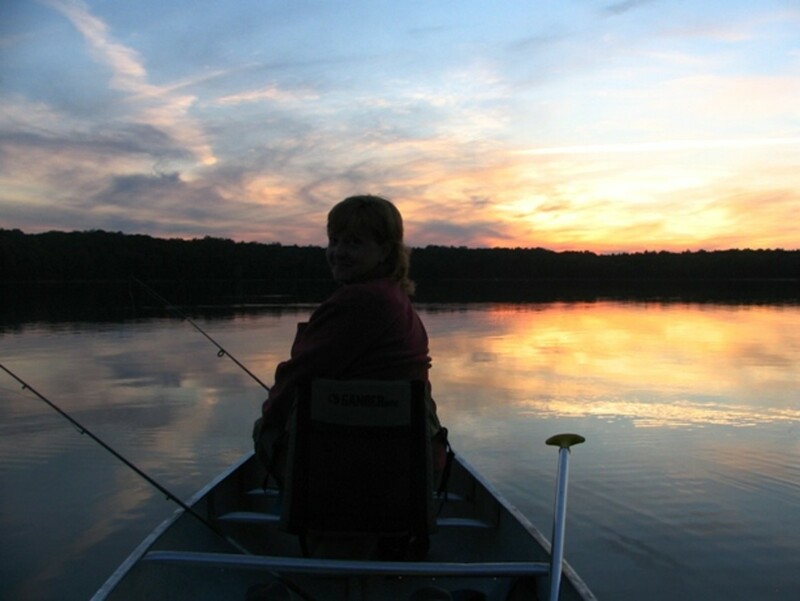 Your fishing kit will need hooks, a roll of line and a lure or two, if they will fit. Another essential to your survival pack is a small metal pot (no plastic - that melts under extreme heat); you can collect water with a pot, boil water and cook with it. When it comes to food, you should always pack emergency rations or a good amount of energy bars; these will give you needed energy and calories. A bit of salt can also help with salt loss due to dehydration. As for knives and mutli-tools, their need is self-explanatory; knives serve many purposes, and multi-tools have numerous tools, such as can openers, saws, pliers and more. 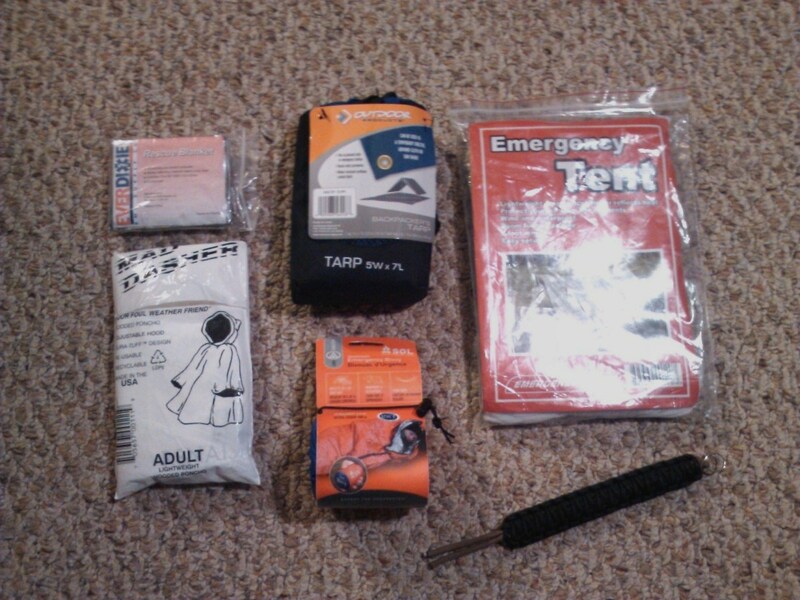 Emergency blankets should never be omitted from a wilderness survival kit. The aluminum side of the blanket reflects warmth, such as your body heat or the heat from a fire. A rescue blanket also doubles as a signaling device; the shiny side of the blanket can reflect light, the same as your signal mirror. The blanket can also shelter you from rain, but tears easily; a simple poncho is small, easy to store and is better for this purpose. Wearing your poncho while covering your shelter with an emergency tarp can ensure you stay as dry as possible. An emergency tent is even better; the tent unfolds into a triangle capable of housing two people and held up by two ends of rope. 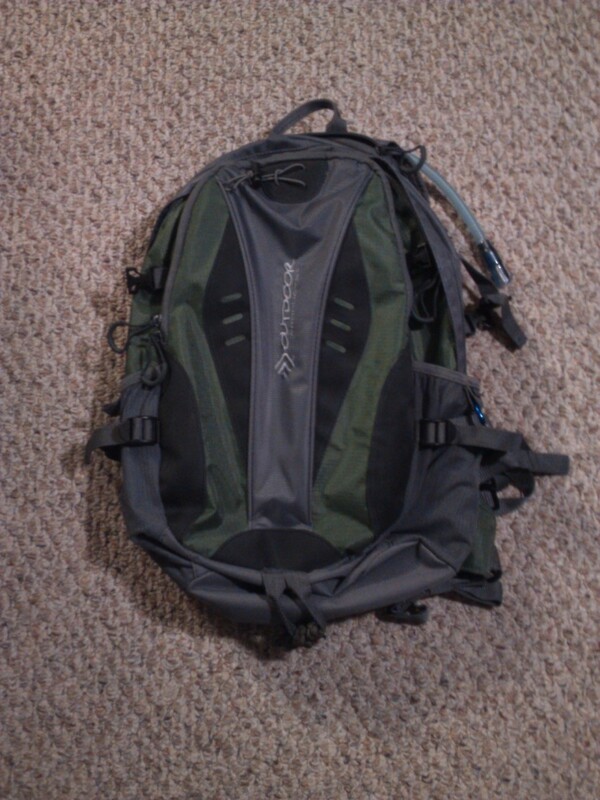 Also, parachute cord is strong and should be packed as emergency rope. 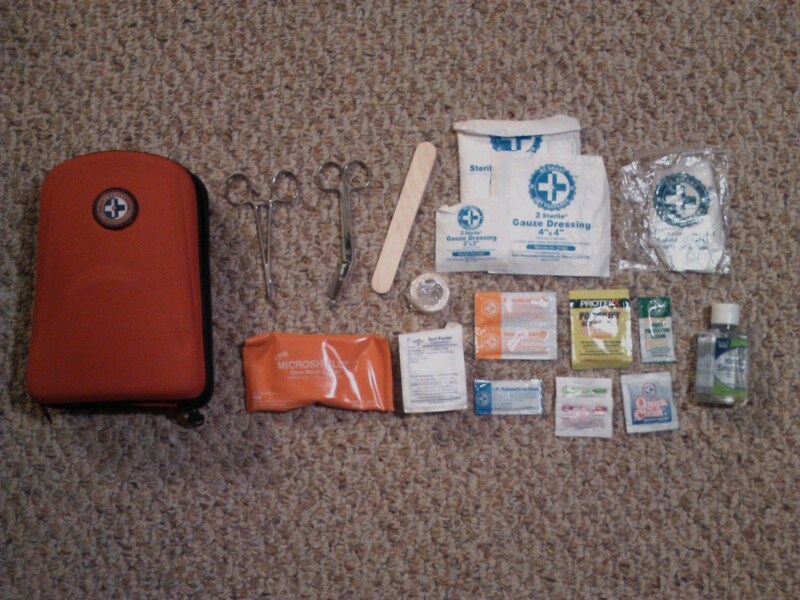 Do you pack a first aid kit when you go traveling? Keeping your hands clean is important, especially when preparing and eating food. Hand sanitizer and sanitary wipes are both good options. Antibacterial ointment is a godsend when used on wounds; the last thing you need in the wilderness is an infection. Bandages and gauze are essential in covering and protecting wounds. Trauma pads are for more intense bleeding; a viable substitute for medical trauma pads are female sanitary pads. Pain relievers, be it Tylenol or Aspirin, are essential in the wilderness; pains from muscle cramps to headaches to injury pain can be distracting when on the move. Antihistamines are good to have on hand for allergies and other sinus symptoms. Anti-diarrhea medication, however, is highly important; drinking contaminated water can cause diarrhea, as well as bad or disagreeing food; this medication can prevent this, and thus prevent dehydration. Other tools, such as duct tape and tweezers, have their uses in medical situations. And while it isn’t a necessity, dental hygiene products can keep up your overall morale. 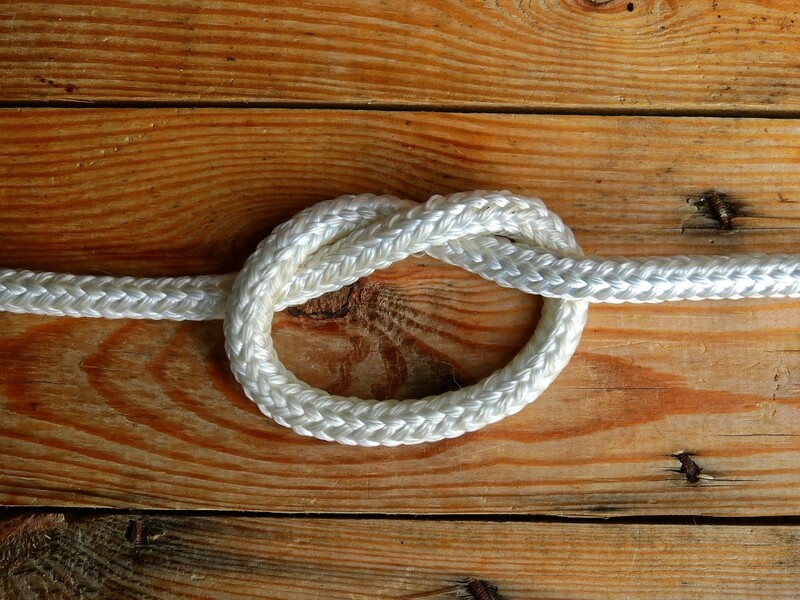 Needle and thread are useful for patching holes in your clothing or - if necessary - stitching up a wound by hand. If you wear glasses, it’s good to have a spare in case you break one. After all, you need to be able to see your way out of the wilderness to survive. If your wilderness knowledge isn’t up to par, a pocket-sized survival manual would be a good investment; information about edible plants and more are often included. The extras that you decide to include in your survival kit are entirely up to you. 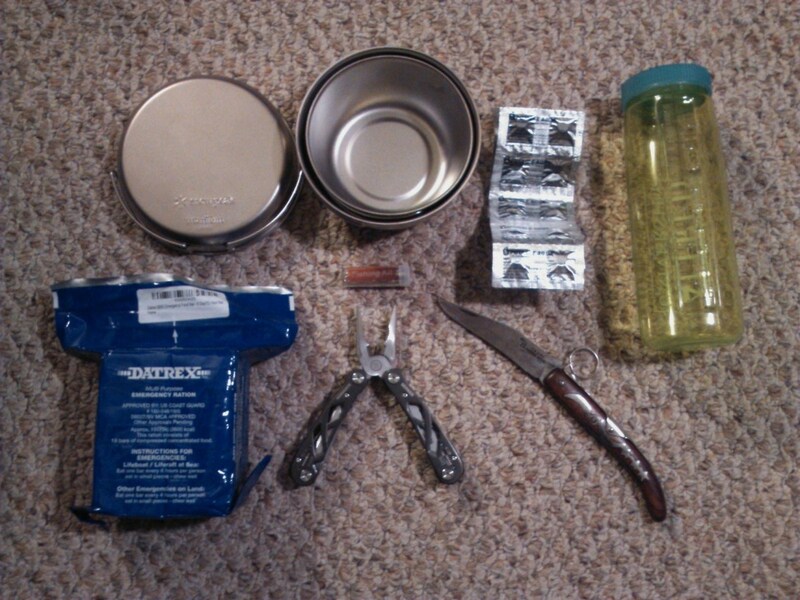 Having a detailed wilderness survival kit could be the deciding factor that gets you rescued (or keeps you alive). Oftentimes, many inexperienced hikers and travelers find themselves lost in the woods without enough food, water or a means of shelter. Being prepared for the worst is vital when traveling in unfamiliar environments - getting caught off-guard is dangerous. Pack your bag for an extended stay, and always be informed. Happy travels! @Lupe Thank you so much! Great survival information. Always a plus to be prepared. You're very welcome. You're right. You never know if you're going to need it in an emergency on the road. @Kristen Howe Thank you! I really do feel safer having the kit ready and within reach, especially during long car travel. This was a great hub Jennifer on how to build a survival kit to fit all of your outdoor needs with handy tips from first aid to building a shelter. Voted up and useful! @SusanDeppner Thank you! I am glad that you found it so useful! Great advice! Pinning this to my Safety & Survival board and sharing on my Emergency Prep page on Facebook. Thanks! Thanks, and nice knives! I (accidentally) started collecting knives, it's becoming a thing. @thebrownbear: Thanks! It's good to prepared. Even with just the basics - I am going camping soon, and will probably just bring the whole bag with me, even though we are "car" camping. Thank you for sharing. If I ever go on a hiking trip I will be sure to print your page and make sure I have everything on your list. Aww, thank you! I don't have everything, but I think I'm pretty prepared. Bookmarked! If I ever have to go into the wilderness I'm following the advice from Jessica! Awesome! 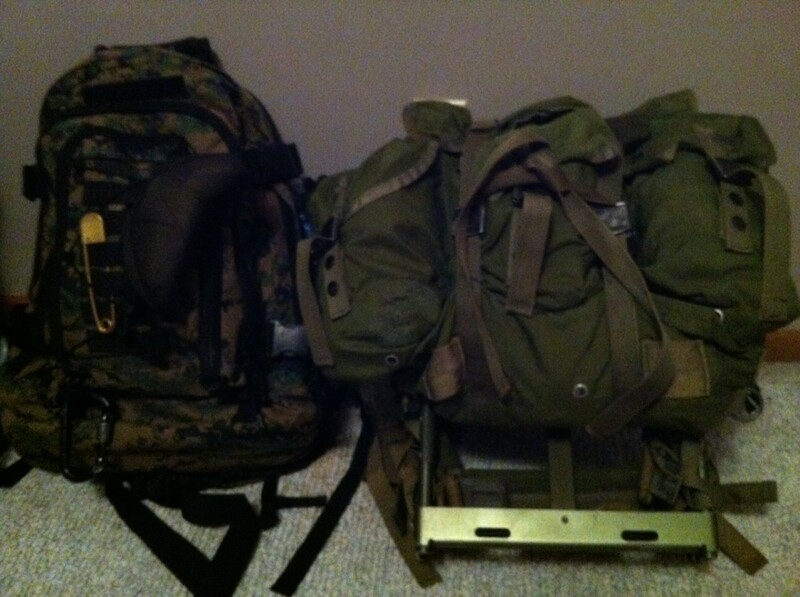 My pack could use some smaller tools in the future, it's full to the brim at the moment. Thanks so much for reading! Nice hub, full of valid info. I just added a credit card size multi-tool to my pack,. Thank you very much! I took three sets of pictures before I figured out the right layout. I appreciate the comment! 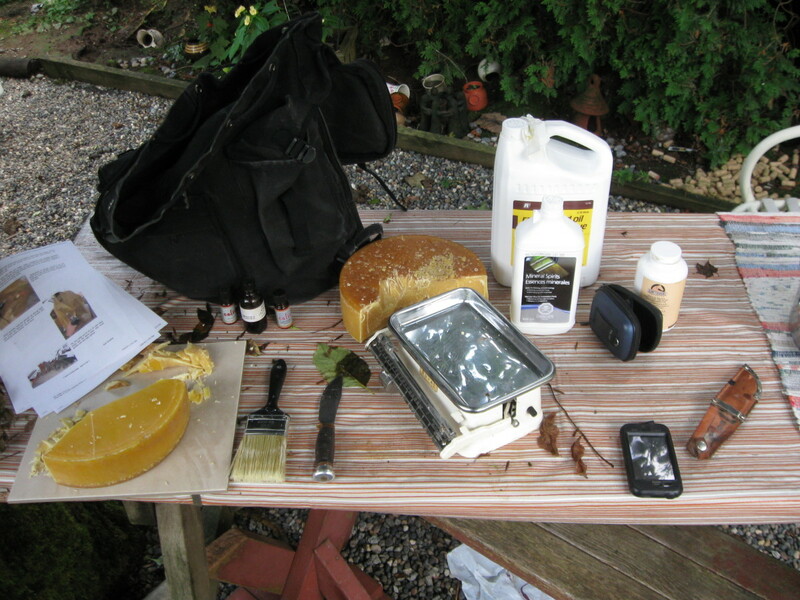 This is a well done article on how to build a wilderness survival kit. The clean layout of the pictures make it really easy to understand what should be include. Well done.